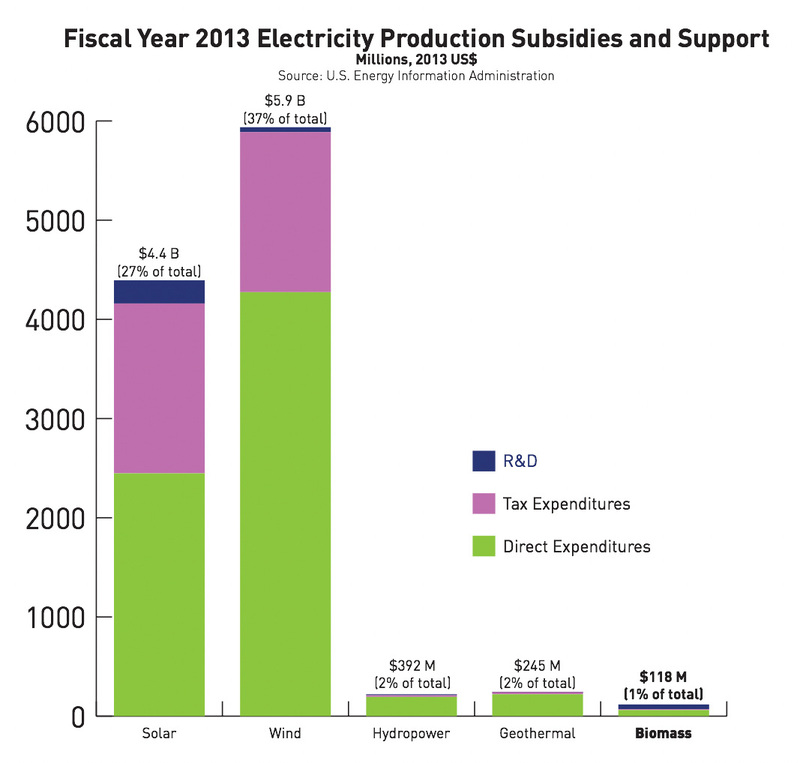 without the same federal incentives that are available to other energy technologies. Renewable electricity tax incentives should be made permanent so that baseload power like biomass—with long development timelines—is fully promoted. Short-term extensions favor intermittent power at the expense of baseload power. The traditional short-term nature of Congressional extensions for Section 45 has resulted in the development of far fewer open-loop biomass facilities than other renewable sources whose build time is much shorter. To remedy this, Congress should permanently extend Section 45. Without this permanent extension, the full potential of biomass (and the attendant public economic and environmental benefits) will not be Congress should also extend the PTC for existing facilities for the full 10 years. The credit rate should be harmonized for all technologies under Section 45, or the credit rate should be set according to a technology neutral, performance-based formula. The establishment of different credit amounts within Section 45 set without any reference to performance arbitrarily favors intermittent sources of power at the expense of baseload power. Congress should harmonize the tax credit rates for all eligible technologies so as to make the credit technology neutral, or to set the credit rate based upon some logical formula referencing environmental or energy performance. Federal energy support for 2013, the last year during which there was significant biomass power development. Congress should recognize the value of existing biomass facilities by extending their current credit period from five to ten years. Tax incentives for generating electricity from open-loop biomass have only been available since 2004, when Congress provided both existing and new facilities a production tax credit – but only for a 5-year term and only at 50% of the rate of wind. One year later, Congress lengthened the tax credit period from five years to ten years (for new facilities, while retaining the 5-year period for existing facilities), but retained the 50% credit rate reduction. The credit period for existing facilities expired in 2009, leaving many of the facilities at risk of closure. The PTC placed in service date window for new facilities expired at the end of 2017. The Code should encourage the modernization/refurbishment of older open-loop biomass facilities, including for the purpose of utilizing steam and heat generated by creating electricity, and the re-purposing of retired coal facilities to burn open-loop biomass. Developers report that the IRS’s traditional rule used to define new facilities is quirky to apply and should be replaced with a simpler rule such as requiring at least fifty percent of the value of a new project to be attributable to new equipment. The Biomass Thermal Utilization Act is a bipartisan bill that would enable biomass facilities to qualify for the Investment Tax Credit for upgrades to make use of byproducts of biomass electricity generation, including steam, heat, hot water and industrial process heat. If properly implemented, tax policy can play an important role in the promotion of a diverse renewable energy policy without causing market distortions. Preserving the status quo places the Nation’s energy security at risk by leaving utilities (and ratepayers) dangerously reliant on the commodity risk of natural gas or the vagaries of solar and wind.